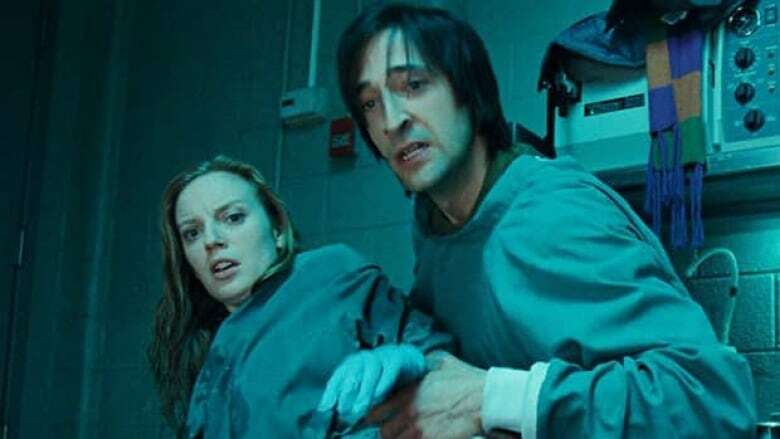 Splice, Vincenzo Natali's slick sci-fi horror film starring Sarah Polley and Adrien Brody, has won Telefilm's fledgling Golden Box Office Award. The film agency's officials presented director Natali and co-writer Doug Taylor with the $40,000 prize — dubbed the Goldie — in Toronto Thursday morning. "Making movies is much like making a monster, you don't know what terror you've wrought until it has escaped from the lab," Natali said in a statement. "The fact that Splice was a box office success in its native country is another testament to Telefilm's foresight and their faith in Canadian filmmakers to produce popular entertainment. Without their support this strange but beautiful creature could never have come to life." Released in theatres in June 2010, Splice follows a pair of hot-shot genetic scientists who surreptitiously conduct experiments fusing human and animal DNA. The married couple, portrayed by Polley and Brody, unleash horrific consequences when their efforts result in the birth of a dangerous hybrid creature. The film grossed $2.1 million at the Canadian box office and $26.9 million worldwide. "An award like this reminds me and my fellow writers that we can stay in Canada, create an ambitious feature film for worldwide release, and remain generously supported here at home," Taylor said. Announced in 2010, the Golden Box Office Award recognizes the director and screenwriter of the highest grossing English-language feature film of the previous year. The inaugural winner was The Trailer Park Boys: Countdown to Liquor Day. Two similar prizes acknowledge Canadian box office successes: the Golden Reel Award, presented during the annual Genie Awards gala, and the French-language Billet d'or (Golden Ticket), handed out at Quebec's Prix Jutra ceremony.